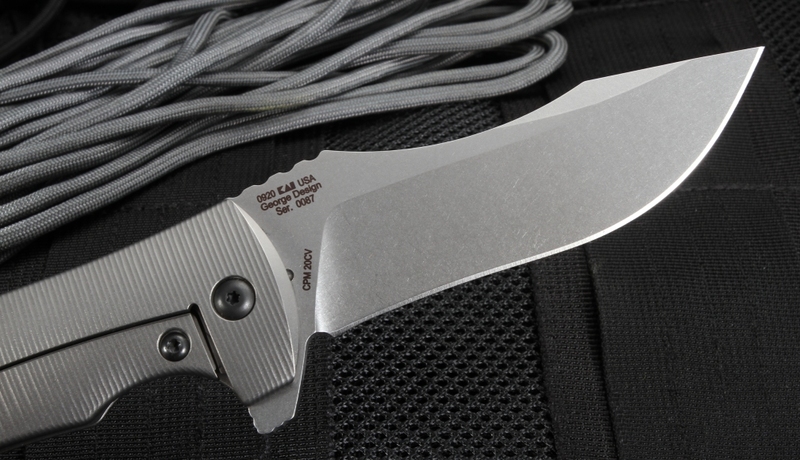 Zero Tolerance 0920 is a powerful, high-quality knife skillfully crafted in the U.S.A. 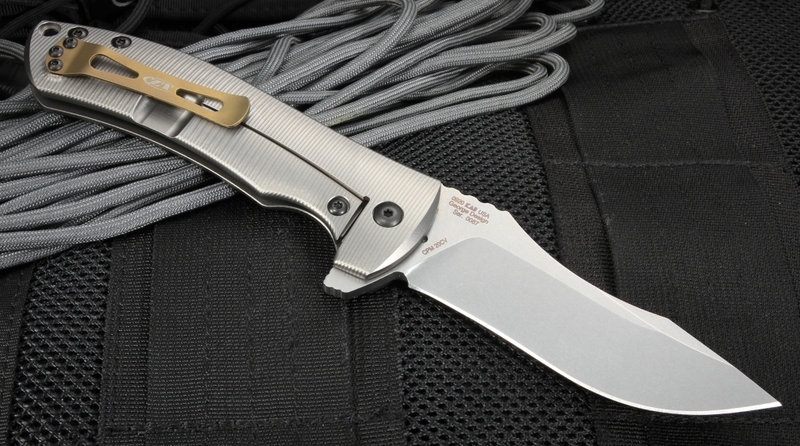 This full-size folding knife weighing an impressive 5.4 oz, is based on Les George's Harpy. Designer Les George brings his extensive experience with the US Marines to this collaboration with Zero Tolerance. 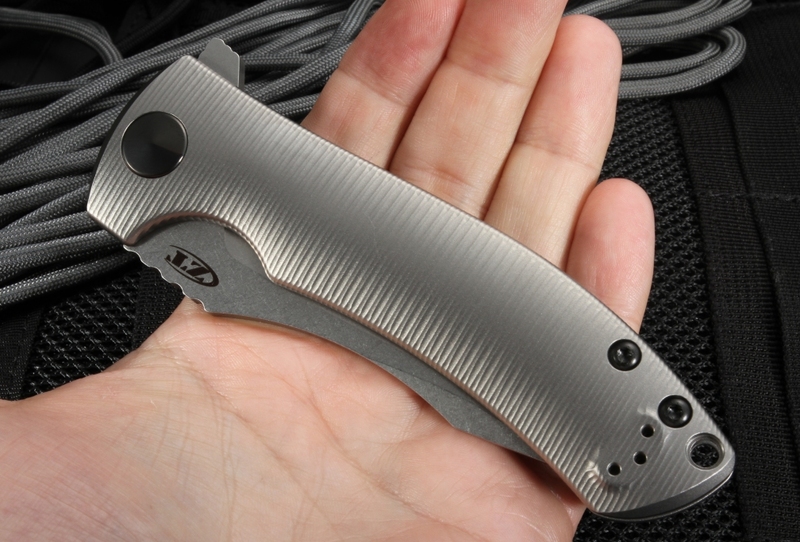 He creates exceptional knives for real-life application, he understands the critical need for functionality and form. 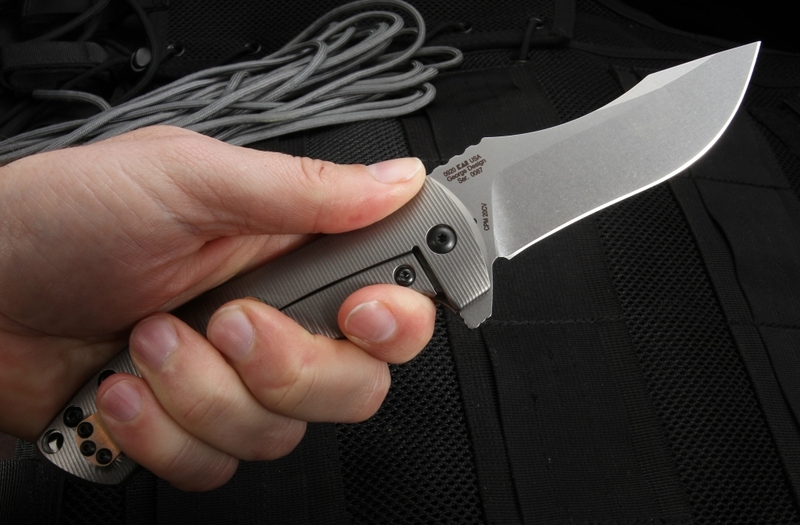 The Zero Tolerance 0920 is well constructed for strength, durability, and optimal performance. 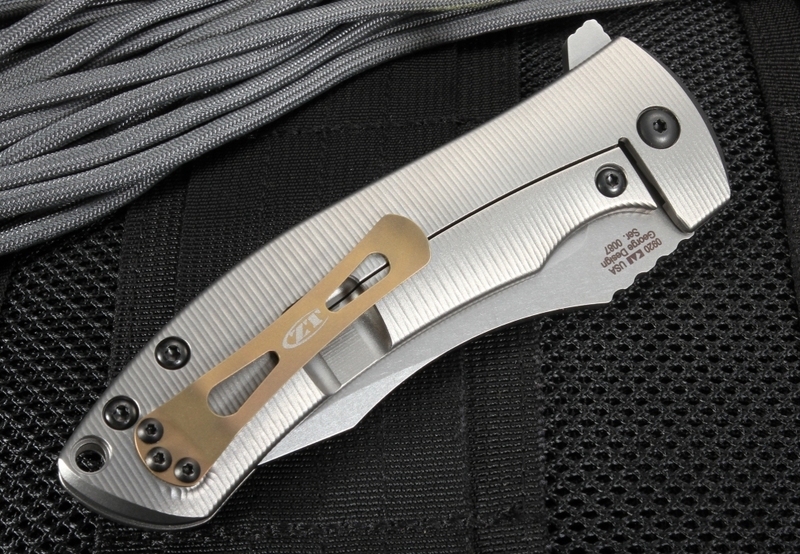 The CPM-20CV stainless steel blade is 3.9 inches long and 0.156 inches thick. The high-quality American made particle steel is specially designed for increased edge retention. It's striking scooped spine and sturdy stonewash finish has great versatility and outstanding resistance to oxidation while hiding scratches. 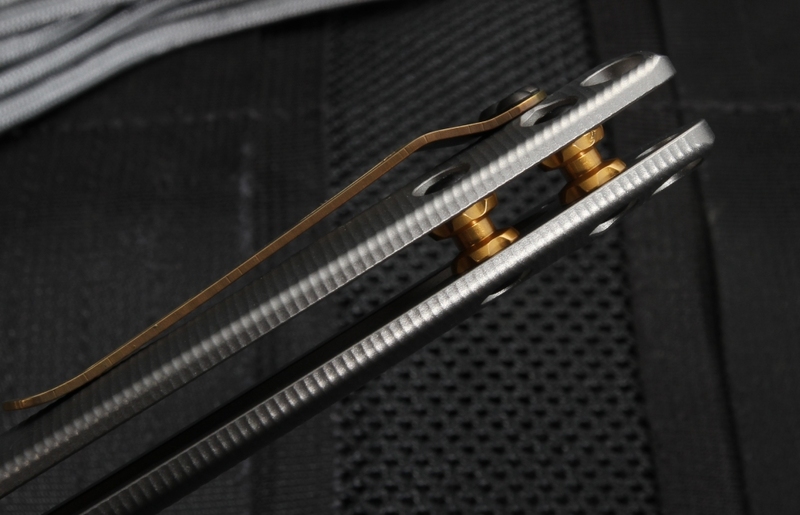 Zero Tolerance's KVT ball-bearing opening system aids in quick and responsive manual opening with the built-in flipper. Flipper serves as an index finger guard in the open position. During use, the fully extended blade is secured with a titanium frame lock and hardened steel lock bar insert for extended lock life under hard use. The aerospace-grade titanium handle is 3D machined and textured for a controlled grip, creating a smooth, secure fit for both right and left-handed users. The incredible handle design includes weight-relieving pockets for greater carrying ease. Measuring 8.96 inches in overall length and 5.06 inches closed, the versatility of a reversible bent titanium clip is ideal for a knife of this size. Our customers are important. For reliable service and fast delivery, trust KnifeArt.com to supply you with the highest quality, top of the line American made knives available. We pride ourselves on supplying quality products backed by a solid guarantee. Use our secure online ordering system or contact us for assistance in choosing the right product for your collection. 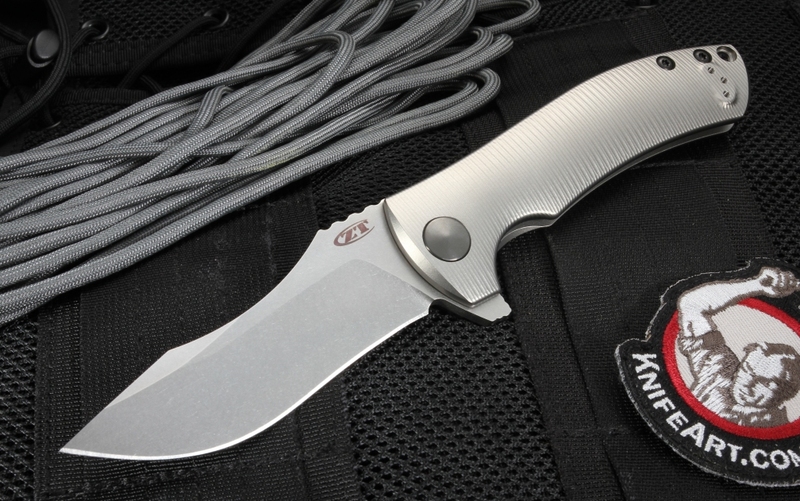 Les George, Zero Tolerance Knives, and KnifeArt.com, Proud to be Made in the USA. Knife was received as described.Sturdy and well made, this knife looks the business.Flipper works really well and the action is very smooth. Order processed fast and efficiently and delivery (on the other side of the world) surprisingly fast. Highly recommended!